View this page as a brochure! Download our Rater Practice brochure here. For videos on the CATME Tools, check out our Instructor Videos page and our Student Videos page. 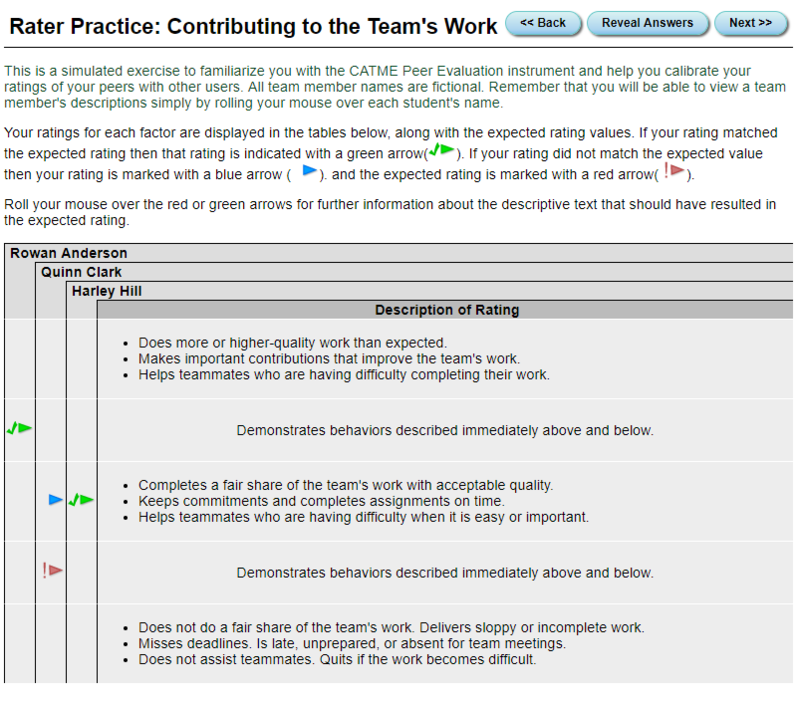 The CATME Rater Practice Program is a game-based rating simulation that provides students the opportunity to practice rating their peers. In this simulation, students are given hypothetical teammates with certain traits to them. These traits represent behaviors that regular teammates could possess. 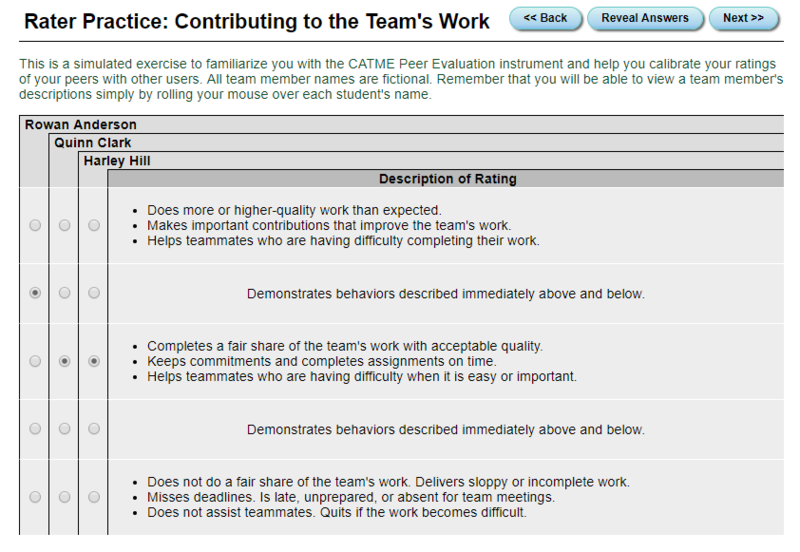 They are then tasked with rating these teammates according to the 5 CATME dimensions. At the end of the simulation, students are given immediate feedback on their ratings and ways to improve their feedback. Try it out for yourself! Run through Rater Practice for free by clicking here.